LSD Addicts, a group of runners, marathoners, and ultramarathoners who love to explore the different places in the country through their running training called the Long Slow Distance or LSD just recently had their training navigating the beautiful place of Batangas via the Ternate to Nasugbu 50K Challenge. The group enjoyed the beautiful place 'cause aside from having their training which prepared themselves into their next runs, they had their travel at the same time with joyous bonding with one another! 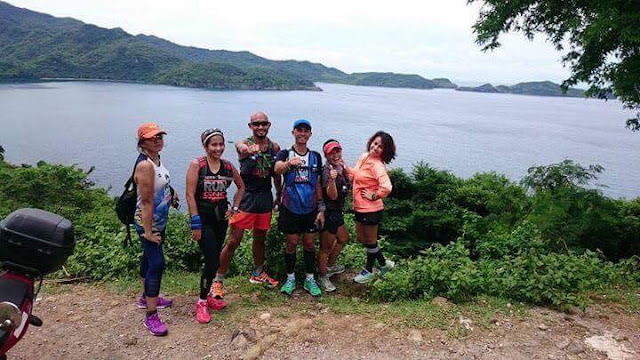 And one of the group's lead star, the IBTUR 88K Champion sir idol Rodel Tecson Florendo shared his 'breaking boundaries' diary to yours truly Runner Rocky narrating their experience in this LSD challenge. ..It all started with a dream, that one day, I will explore these two Southwestern provinces of Luzon by foot. I courageously took the first leap at DAWN on Sept 4, setting my feet, pounding my first stride inside MOA grounds et continously pounding the Aguinaldo Highway passing the cities of Imus, Bacoor et Dasmarinas, the town of Silang going up to my destination, the People's Park in Tagaytay City. Tha was formidable. From the scorching sun to the heavy downpours of rain, I survived et reached my destination exactly at my target time, before the world becomes DUSK. ..But that was not enough, I want to explore the other side. Wherein I can see the endless blue of the much talked about West Philippine Sea et witness the golden sunset as it sets far beyond the western coves of Southwest Luzon. 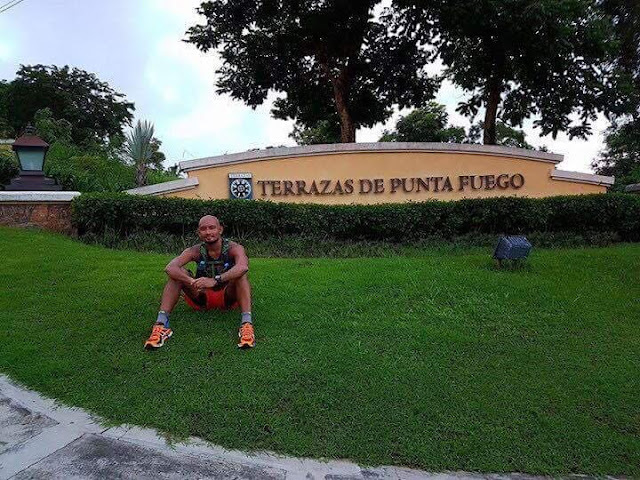 This time, I want to share that kind of joy that only a runner can feel, to my friends in the running community. 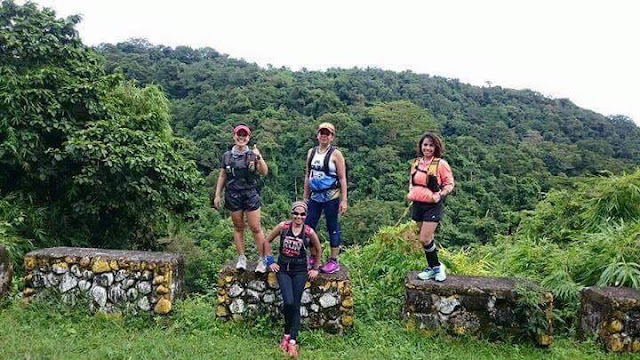 September 18 at 7:30 AM at the foot of Mt Pico de Loro part of Palay-Palay mountain range Magina,Lea,Miles,Raegina,Joe et I were all determined to conquer our perhaps the toughest LSD, TERNATE2NASUGBU 50K CHALLENGE. ..Our journey began with a friendly flat terrain from the town proper of Ternate Cavite. But as we get closer to the foot of Mt Pico, heartbeat became faster,sweat was all over, et the oxygen demands became higher. Oh, the challenge begins, the ascent part, my forte haha..At km6, we reached Mt Pico base camp. We stopped for minutes, gulped some soda, ate banana, et refilled our hydration bottles. There,we met Daphne, according to my friend, she's an elite trail runner. As shown in her colors et the form of her legs I bet she is. We continously navigating the road. At km10, we reached the Kaybiang Tunnel. 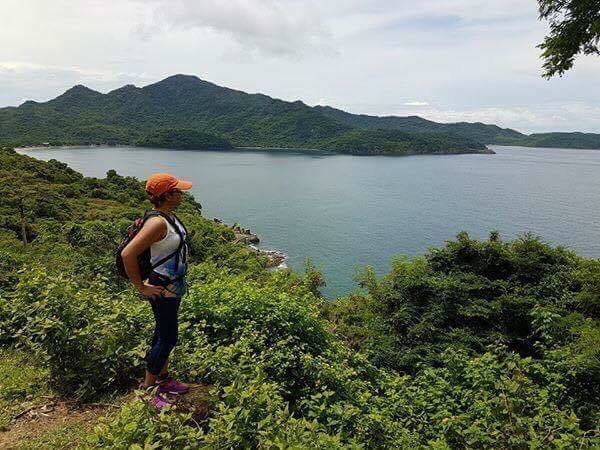 It serves as the gateway to the once hard to reach areas of the western coves of Southwest Luzon which is home of serene beaches at magnificent sunsets. It's completion was sometime on 2013 and cut down the usual travel time to Nasugbu from 4hrs to almost 2hrs. WOW! At least, no doubt, our taxes were used on this landmark. But, at the back of my mind, how much kaya ang na-corrupt? Going down farther, yes, just right after Kaybiang, is the downhill slopes of Mt Pico, we reached the Tabe Bridge which serves as the Cavite-Batangas border from Luzon's southwest side. Here,you have a clear view of the Carabao Island et farther the Corregidor Island. The Group Enjoying the Cool Green Beautiful View in Batangas! A Closer Encounter to Nasugbu's Natural Wonder! ..Still at Km13 almost 12noon et were all hungry. No where to eat,we're in the middle of nowhere. Good thing, I reiterated to my running buddies to bring enough trail foods. We ate, we run, we stopped et just repeated this cycle. After another 1.5 hours, we finally reached a small village in Hamilo. We're lucky enough that we found a small carinderia at the left side of the road. Ohh,how ironic, left side of the road is a small village wherein you can see the simplicity of life et at the right side is the famous Hamilo Coast of Pico de Loro, where the rich one dwells. Hmmm, no, am happy of what I have..haha. We ate our lunch et if you're hungry, everything is at best tasting isn't it? Took few minutes to rest, then larga ulet! We still have another 25Km to run to reach the town proper of Nasugbu..It's 2pm, the sky is gloomy. It seems like the weather is with us. Thank you LORD! ..We passed another village, forget the name of it. Here, both sides are rice fields et the rice are ready to be harvested. How did I know? When the rice turns into golden yellow, it's ready to be harvested. I grew-up also in a small sitio in my town Claveria in Cagayan in a home surrounded of ricefields, fruit bearing trees( believe me when I tell tell you, name it et we have it), fishponds full of tilapia,carps etc etc, brooks with big prawns to catch et a mountain full of mandarin et calamansi trees. Thank you erpats, you're the best! You're not perfect but you're indeed incomparable. ..At Km35 at the mountainous part of Nasugbu, the rain started to pour. We stopped for a while in a waiting shed, but I told my running buddies that we have to move even if it's raining. We should be out from the mountainous part before it becomes dark. At Km41, Ate Miles can no longer bear the pain of her both legs, she decided to get a tricycle to take her to Nasugbu. We bid goodbye to her, now we're only five left. ..We reached Nasugbu Town Proper at exactly 7pm. 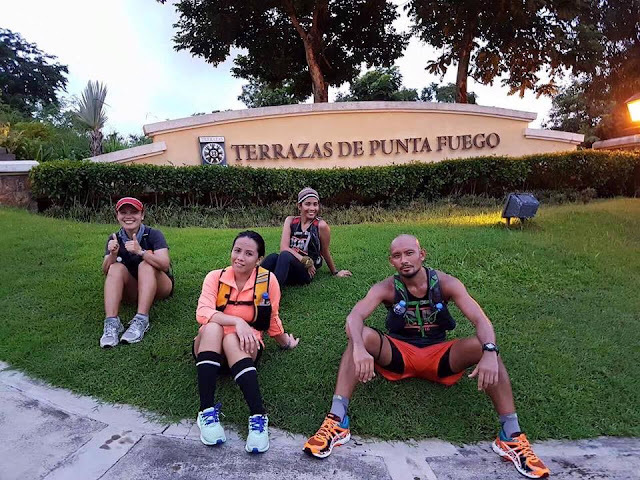 It's already dark....Ternate2Nasugbu by foot is no longer a dream, we made it into a reality..... To my running friends, who bravely accepted my challenge et run with me,talked with me et laughed with me......GRACIAS!